Fuzzy logic inspires from the non-deterministic behaviour of human brain computations. The fusion of neural networks and fuzzy logic such as neuro-fuzzy architectures is natural, as both represent elementary inspiration from brain computations involving learning, adaptation and ability to tolerate noise. 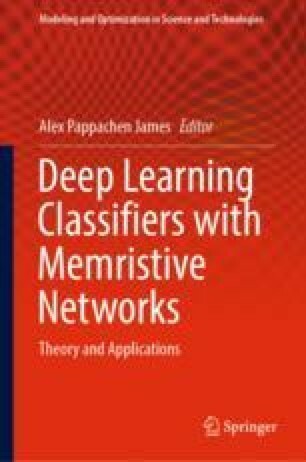 This chapter focuses on neuro-fuzzy and alike solutions for machine learning from perspective of functionality, architectures and applications. The fuzziness of the NFS allows for a more relaxed input data processing. There are multiple functions that can be used as MFs. Deep learning architectures could be integrated with fuzzy sets and logic in order to introduce automated optimization of neural architectures. Fuzzy trees allow more complex, but compact representation of neuro-fuzzy rule base. There are neural architectures that use some of the fuzzy elements, such as RBFNs and fuzzy ARTAMAP. Dedicated analog hardware allows efficient implementation of NF algorithms.